Youth who are interested in volunteering can apply to become Junior Counselors! 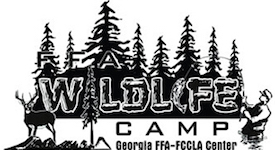 If you are at least 15 years old and have completed at least two years of Wildlife Camps, you may apply to serve as a Junior Counselor or Volunteer. All volunteers must apply, be interviewed, and have a background check performed the camp. Donate equipment to be used for camps.